Description: Female carapace yellowish or light orange brown. Legs light yellow-brown. 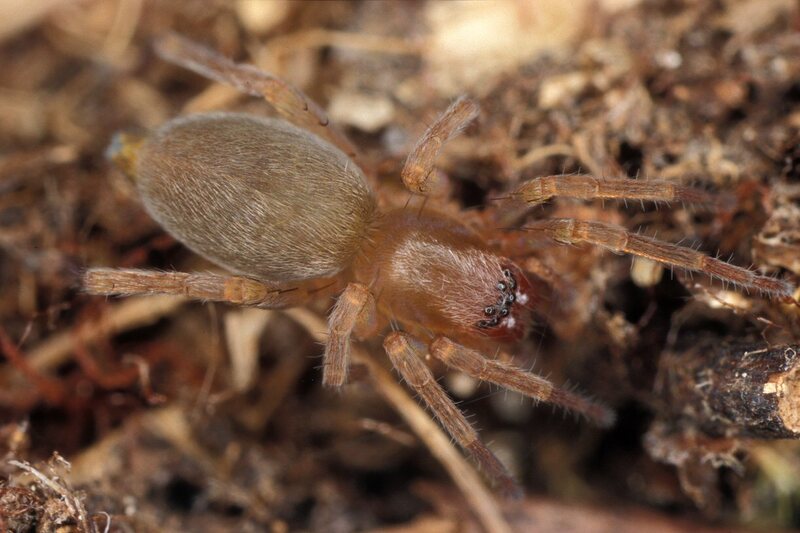 Chelicerae brown. Dorsum of abdomen uniformly reddish brown sometimes with a slightly darker or lighter cardiac mark. Abdomen with short, light pubescence. Spinners yellow. 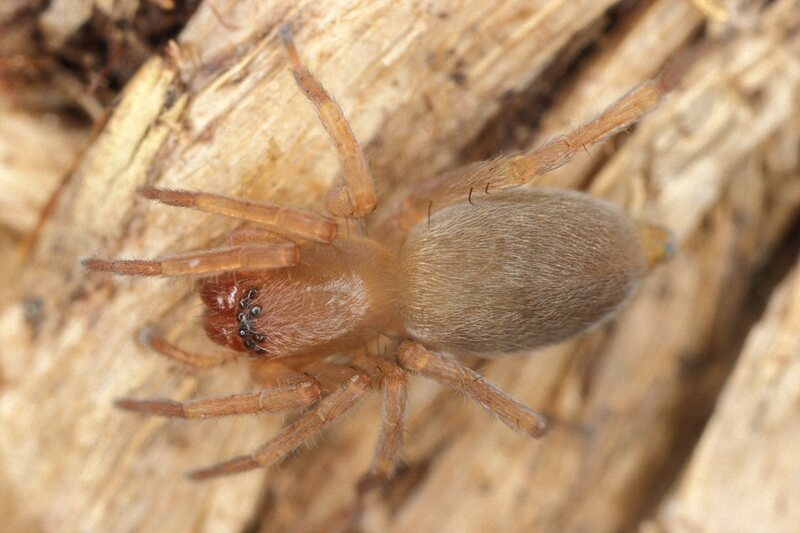 Legs and sternum light brownish, in recently moulted specimens pale grey. Male similar to female but on the average 0.5 mm shorter. The palpal tibial apophysis is formed like a spade and is blackish. Biology: A fairly small sac sHabitat: Foliage of mainly pines and at the basis of low deciduous shrubs such as heather. The species is also found at ground level under stones and in leaf litter.Distribution: In Denmark primarly dry, sandy areas both inland and coastal. Particularly common in various dune types and areas with conifers, often open forsts dominated by pines. Distributed throughout Denmark Size: Female 3.6-4.6 mm; male 3.3-3.9 mm.